We Canadians are often teased for saying "oot and aboot" instead of "out and about". I've never thought that's how it sounds. I recognize that we do have a rather distinct Canadian accent but I hear us saying it as "owt and abowt", kind of drawing out that vowel sound. Finally I'm proven sort of right!! This is a fascinating article about the ancient origins of the Canadian pronunciation of certain words. And no, I'm not talking about our habit of putting "eh" at the end of sentences. And the end of questions. And... well just about anything. "Eh" at the end of a sentence can be a question such as "Cold enough for ya, eh?". It can be a note of emphasis such as "That's some good beer eh" (does not require an answer as beer is always good to a Canadian). It can be a statement "I don't know how that moose got here in my yard, eh." That's just the tip of the "eh" iceberg but for now I really want my readers to read What's Going On with the Way Canadians Say ‘About'? 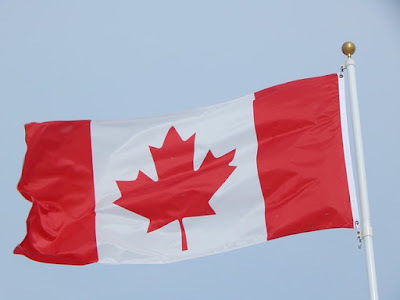 When I first moved to the Richmond Virginia area, those who were born and raised in the area said aboot or something very similar to the Canadian version.